Tommy and Paco are in the car headed home to Traverse City from Detroit. 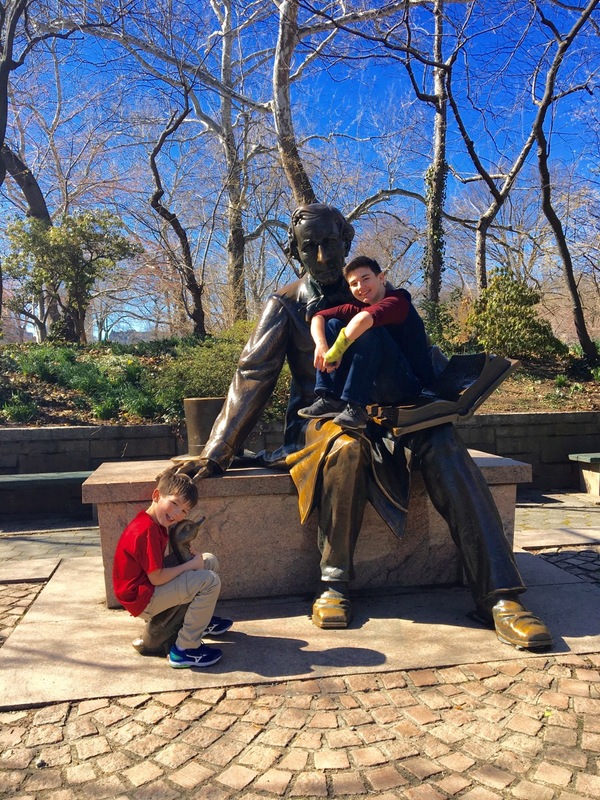 The wonderful NYC Spring break has come to an end. 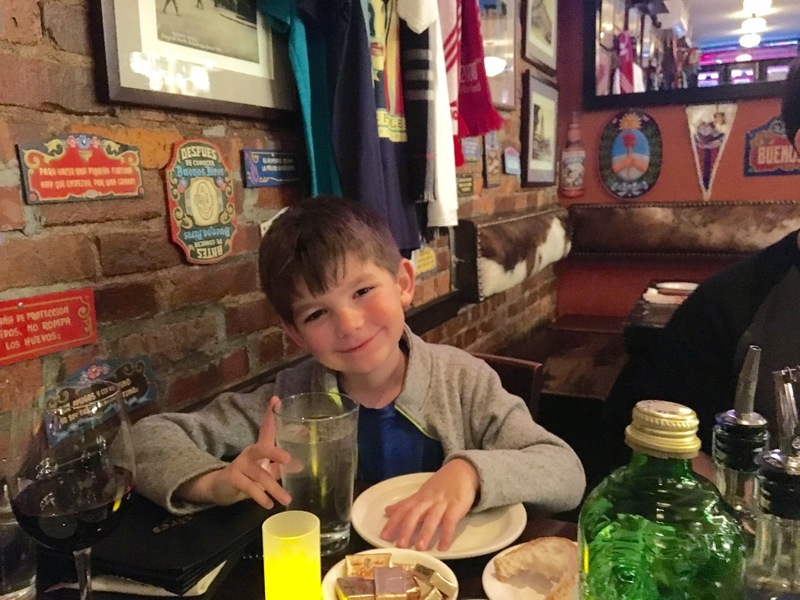 Here is Tommy patiently waiting for dinner to begin at an Argentine restaurant in NYC called Buenos Aires. 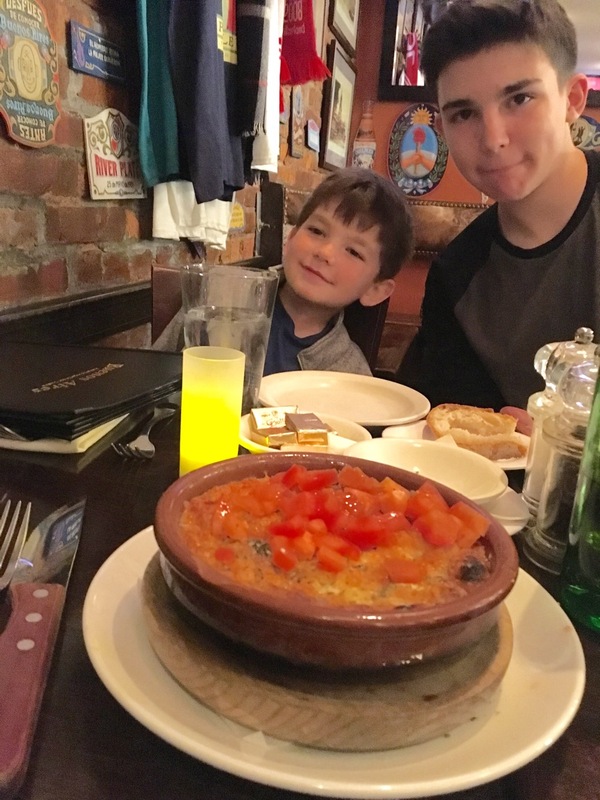 Tommy and Paco are looking at the appetizer called Provoleta. Provoleta is grilled Provolone cheese. Judy, Steve’s Mom, is a native of Argentina. She texted that she had never seen tomatoes on the cheese, so she didn’t recognize the dish. The appetizer was followed by a variety of empanadas: beef, ham and cheese, spinach, and chicken They got eaten before Steve got a picture. They also had flank steak Milanese and flan con dulce de leche (flan with sweetened condensed milk). 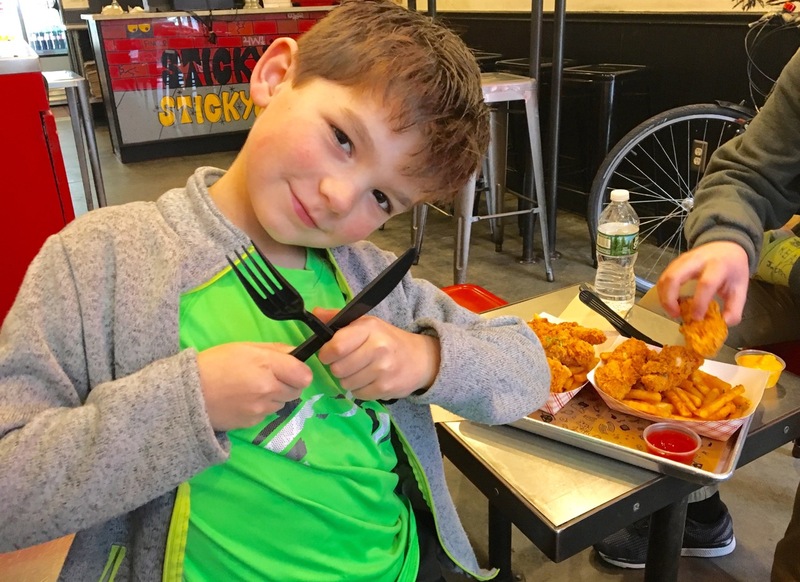 Colleen reported that they were having Ethiopian food which young Sam was allowed to eat with his hands without being reprimanded. Tommy was mesmerized. 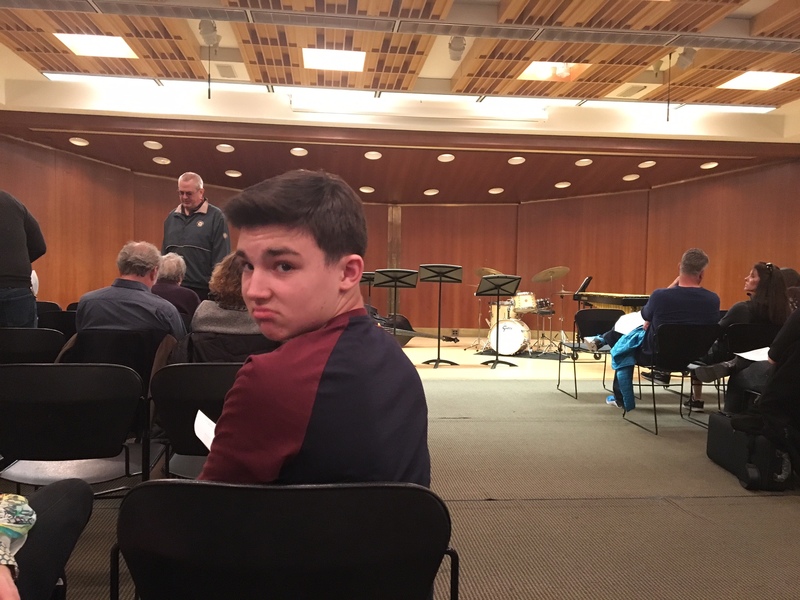 At school concerts in Michigan, Tommy normally will not even sit down. But, Steve says that the music and talent were a bit better at this concert. One student arranged the show and played percussion. 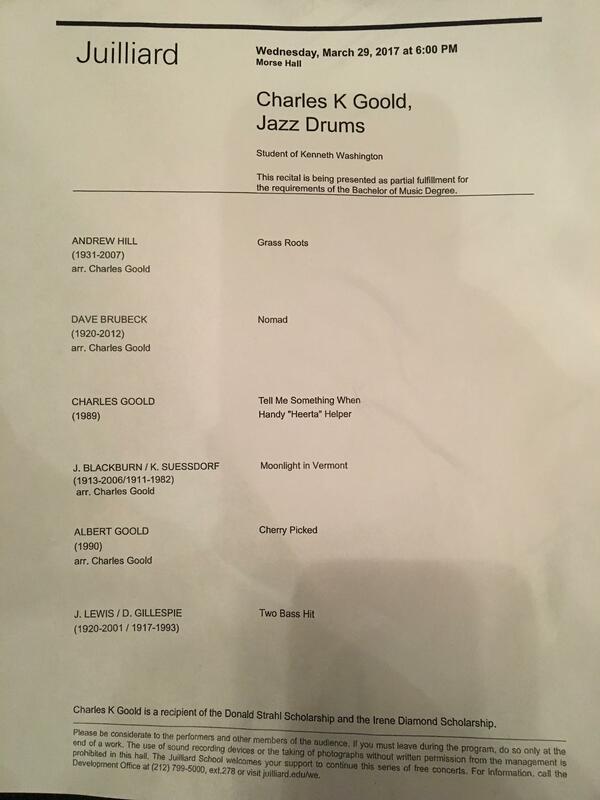 Other students played piano, bass, trumpet, and sax. Afterwards, they grabbed some slices of pizza and went back to their apartment. 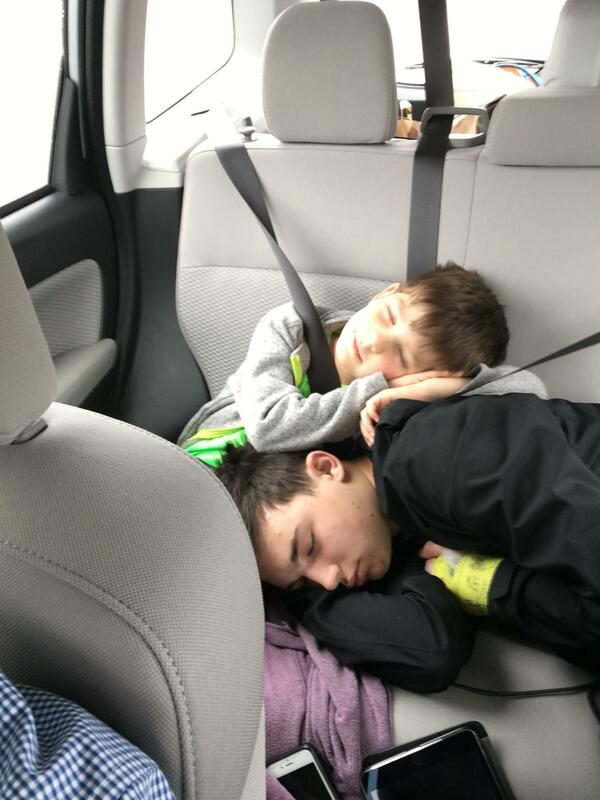 The boys were tired. What an experience they are having! 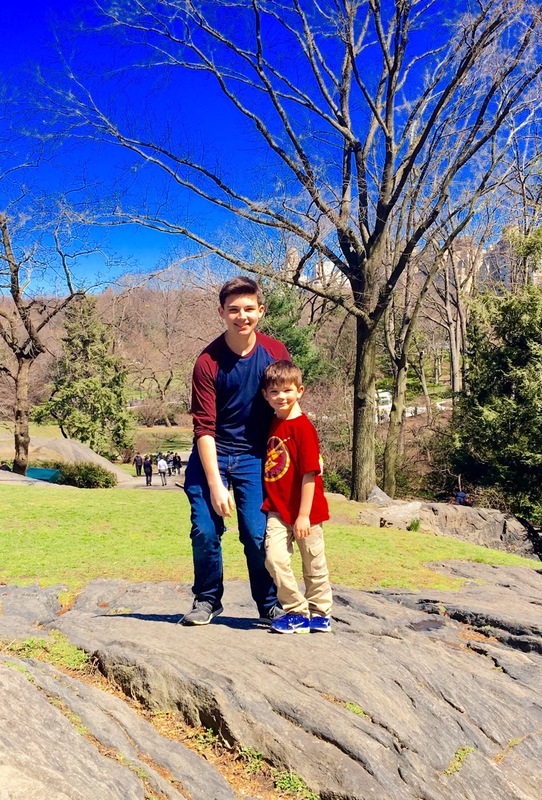 Today Paco and Tommy visited Central Park. This is a rock near the gate where they entered the park. Tommy found a duck to sit on. Paco found a book held by Hans Christian Anderson to sit on! 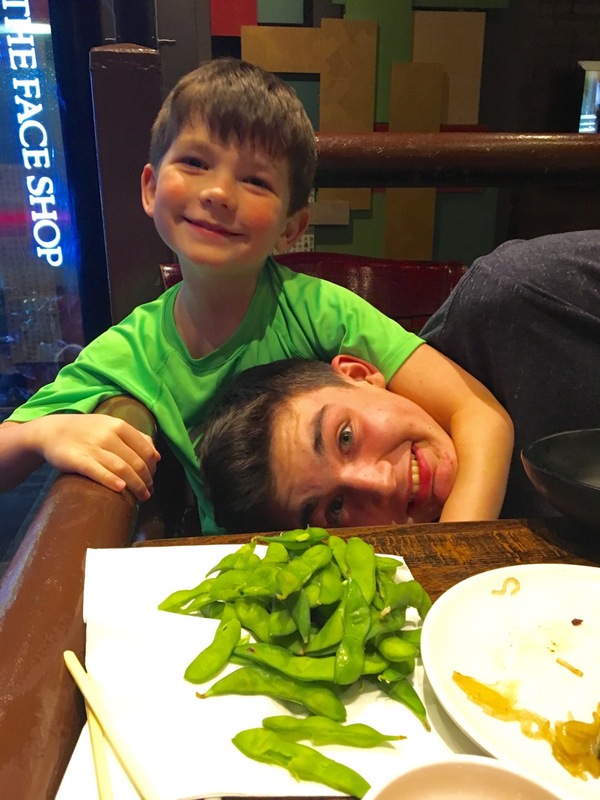 Tommy likes green edaname. Now it is Paco under Tommy’s arm. 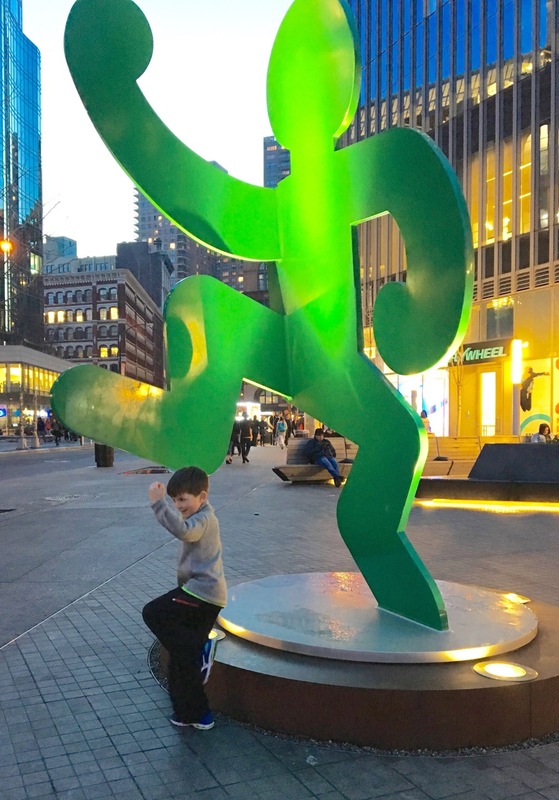 Tommy mimicking a green man in an office plaza near Rockefeller Center. The green shirt coordinated with Tommy’s green day in NY.